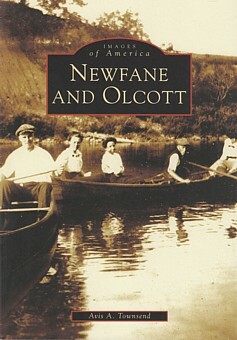 Newfane and Olcott are adjoining communities in western New York where residents relish the past and look toward a prosperous future. Some say they can hear the music of the big bands playing along the shoreline of Lake Ontario from the foundation of the long-demolished Olcott Beach Hotel. Others swear they can see the ghost of Malinda standing by the upstairs window of the beautiful Van Horn Mansion, guarding the grounds where her body was lost for one hundred fifty years. Award-winning writer Avis A. Townsend grew up a mile from both the Lake Ontario shoreline and the haunted mansion, and the stories she has heard have lived in her mind for decades. The youngest editor of Newfane School's newspaper staff, she continued to write, and her novels and features all take place in the Lake Ontario region.